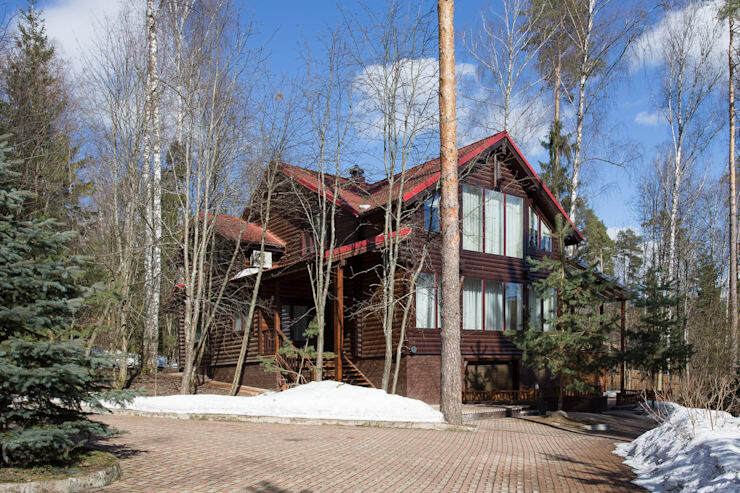 When you think of a chalet home, does your mind wander towards the forests and start conjuring up images of log cabins and a slower pace of life? Well, in one respect, today's project will fit with that image, but then comes the lavish interior to really bring your vision into the modern age! 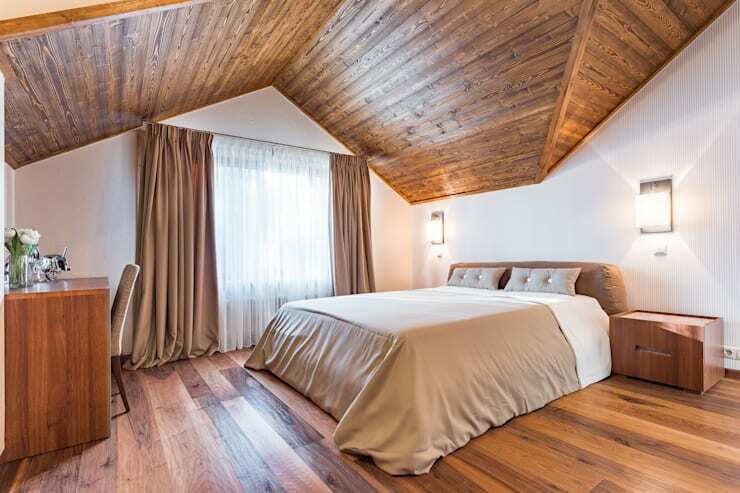 The architect that designed this charming chalet home clearly had a desire to adhere to certain steadfast aesthetics, but in terms if the façade only, as when you come inside, you'll love the wide open space, warm colours and modern-rustic hybrid design! Started in 2016, this house was designed to reinvent the traditional wooden chalet home and don't you think it has succeeded? Large, beautiful but with a healthy nod to tradition, we love it! 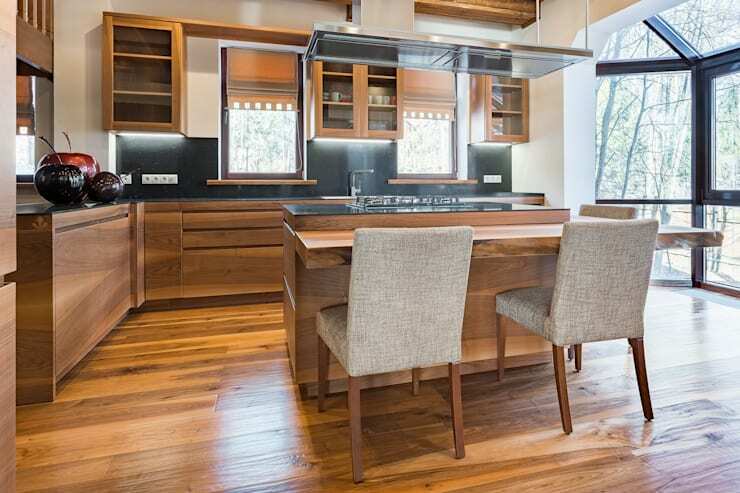 If you were expecting a basic or hearty kitchen, think again! Modern convenience and classic good looks are ruling the roost here, with contemporary appliances, not wood stoves! We do love just how much wood there is here though! Stunning! 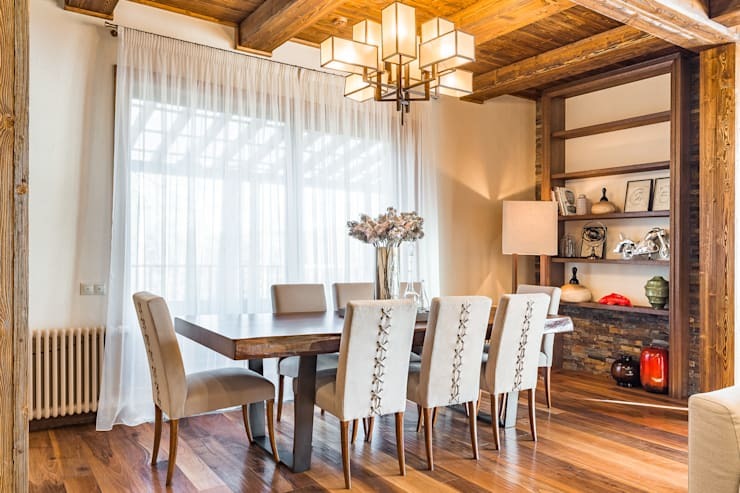 Exposed roof beams and a chunky dining table certainly keep the chalet vibes alive, but add in some contemporary furniture, such as the chairs, and the balance between rustic and luxurious is carefully maintained. With so much rich wood throughout the home, it makes sense that neutral furniture would be installed, to create a lighter, more understated look. If you look closely, you'll see that this room is not heavily decorated at all; it's just the wood that makes it feel like that! 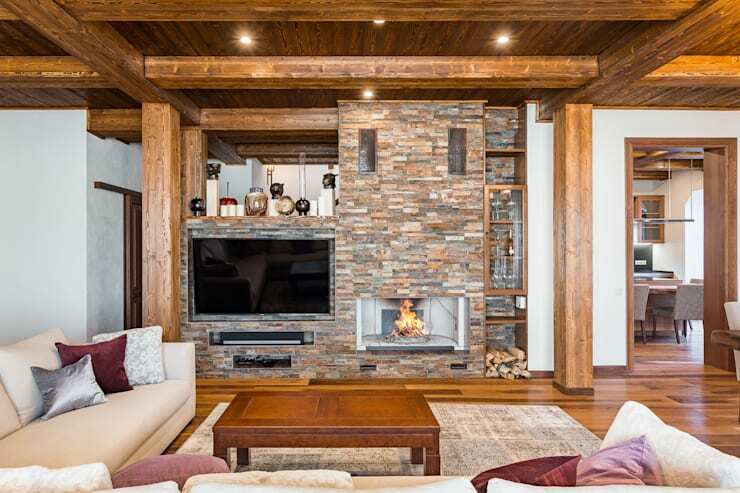 In any rustic chalet home, you'll find piquant stone walls that really bring nature inside, but how about this for a modern twist? Creating a feature surface and using it as the television and fireplace mount? GENIUS! With a host of guest bedrooms, we get the feeling that this is very much a house designed for sociable gatherings and we certainly wouldn't complain if we got this room! The traditional wood ceiling, charming neutral colour scheme and general sunny ambience here is divine! Talk about a chic master bedroom! A spacious layout has been amplified with an adjoining living room area, bit what we are so staggered by is the charming way that the ceiling lines have been highlighted with striking spotlights and low-level furniture! Dreamy! Just look at how sunny and bright this bathroom is! 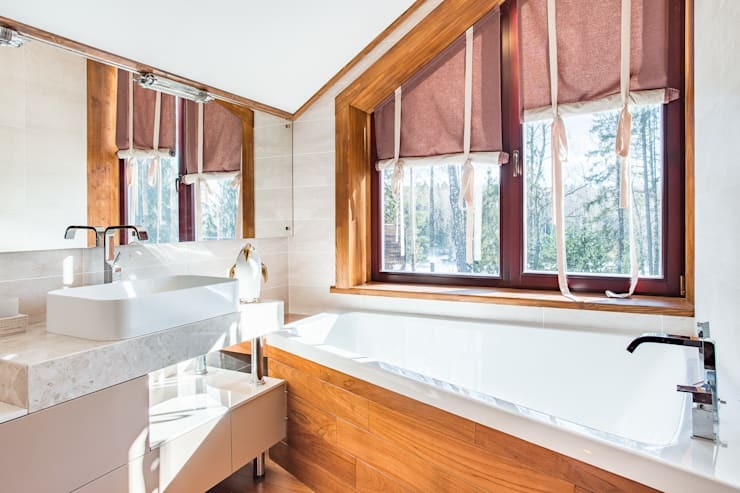 There can't be many things nicer than enjoying a long and relaxing soak in the tub, surrounded by glorious views of nature and the use of natural wood, even in here, has really brought the interior design together cohesively. Of course, a house with numerous guest rooms can't exist with just one bathroom; imagine the queues in the morning! 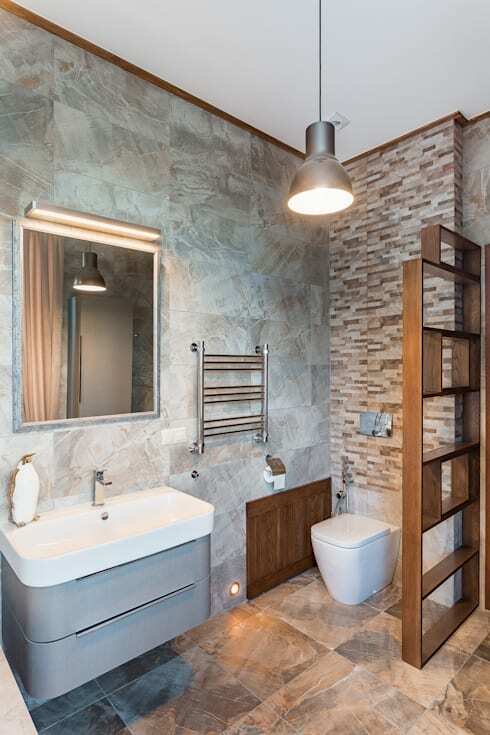 This fantastic shower room has sought to offer modern convenience, alongside more modern-rustic motifs and the stone feature wall is a gorgeous inclusion! 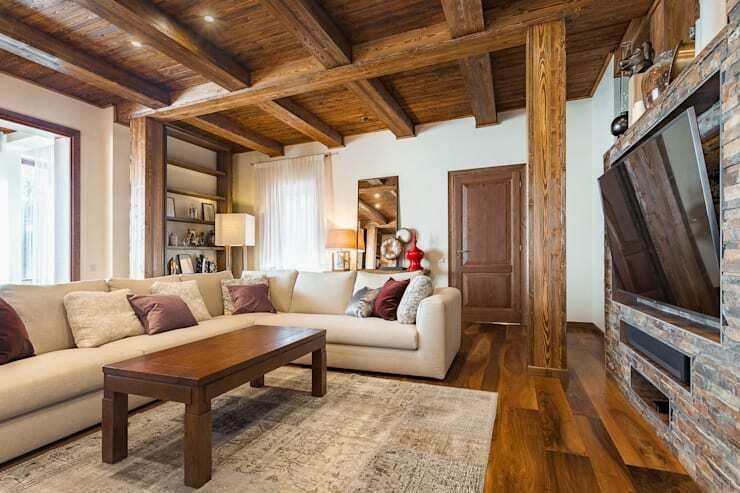 If you love chalet homes, take a look at this Ideabook next: 10 captivating chalet-style homes. Would you love to live in a home like this one?